it can be seen that there is a change of to and a reintroduction of the step size . The popularity of the NLMS is precisely because of the availability of . However, given a frame size of length , the variance of the noise could easily be estimated. 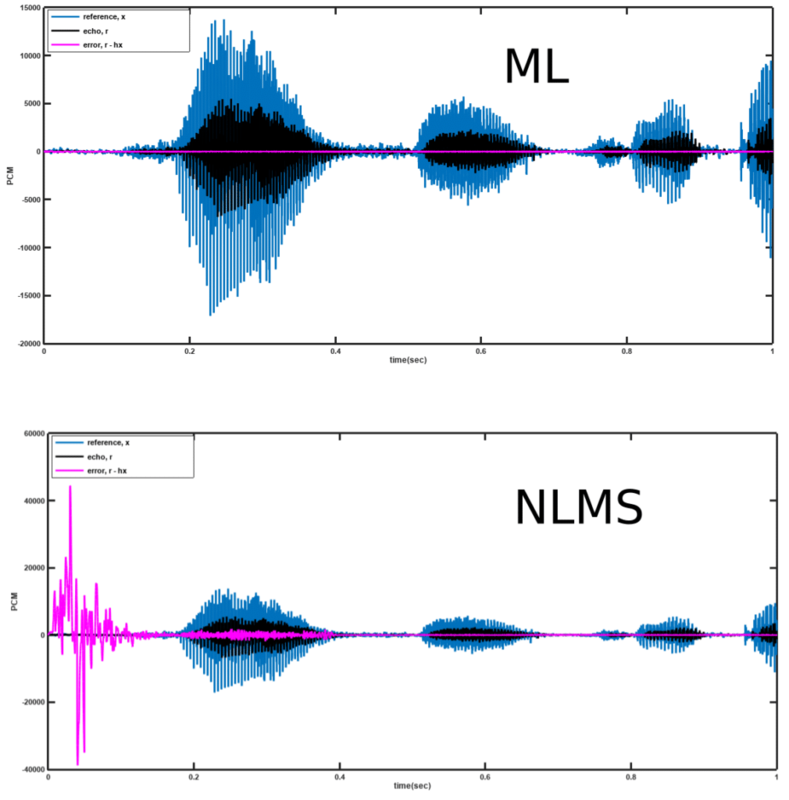 Notice that the variance of the noise is the same as that of the recorded signal and if given that is zero mean, then the variance can be estimated directly from . A sample result for this algorithm is shown in Figure 2 below with comparison with the NLMS algorithm.